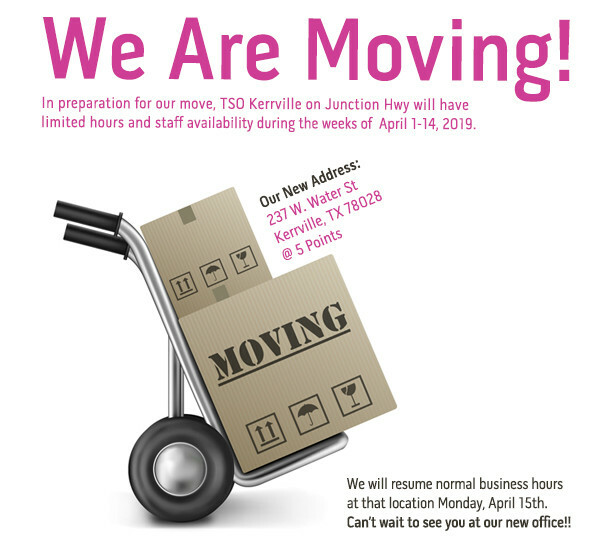 We are moving April 15th to 237 W. Water Street @ 5 Points! How and Where Does One Obtain Vision Insurance? Individuals can buy a vision benefit plan. Vision insurance plans may be available through your place of employment, school district or through social plans like Medicare or Medicaid. Indemnity health insurance is traditional insurance, which allows policyholders to access medical providers of their choice. Vision insurance is often a value-added benefit included in indemnity health insurance plans, health maintenance organization (HMO) plans and plans offered by preferred provider organizations (PPOs). An HMO health plan requires its members to access health care only from HMO providers. HMOs provide health care services to plan members at discounted rates. HMOs include a range of health care professionals – doctors, laboratories and hospitals. A PPO is a network of health care professionals who provide health care services to membership at discounted rates. Plan members may use out-of-network providers, but they usually will pay more for the services rendered. What Types of Vision Insurance Plans Are Available? Vision insurance comes in two forms, a discount vision plan or a vision benefits package. Discount Vision Plan – Eye care at fixed discounted rates after an annual premium or membership fee and a deductible are paid. Vision Benefits Package – Usually, a vision benefits package requires an annual premium or membership fee, a yearly deductible for each enrolled member and a co-pay each time a member accesses a service. Discount vision plans and vision benefits packages are custom-designed to meet the different requirements of a wide range of customers, such as unions, big, mid- size and small companies and school districts. What is included in vision insurance? Usually, services acquired from network providers are more affordable than services from out-of-network providers. If group vision insurance is available from your employer, you pay for it through payroll deductions or flexible spending accounts. An flexible spending account, sometimes referred to as a cafeteria plan, allows an employee to use pre-tax dollars to purchase selected health benefits such as vision insurance. This plan saves your money because you receive the full benefit of income that has been set aside for health costs, making it not subject to or reduced by taxation. If you are self -employed or if your employer does not offer vision insurance then you can expect to be billed monthly or annually. I don't see how you can improve. The service provided is very professional and pertinent to the purpose of the treatment. I go there for thorough, professional eye care and that is what Dr Pena provides.I really enjoyed my visit to the office. The staff and doctor is amazing and so friendly. The doctor explained everything and gave me many options to choose from. The young Tech was awesome. Love this place!!!! The ladies at the front desk are always so very pleasant as well as the tech and doctor.We will be relocating to San Antonio next summer and have EVERY intention to continue visiting Dr. Egbert and staff in Kerrville for all of our vision needs.We have recommended them on many occasions to friends and family. We are more than satisfied and appreciate the thoroughness of Dr. Egbert as well as his explanation of procedures and the condition of my daughter's condition. Dr Pena is amazing! My family has been going to him for 3-4 years now and I wouldn't go anywhere else. From the very first office visit, the staff helped to make each of us feel comfortable and right at home. Dr Pena takes the time to make sure everyone understands what he's telling them and answers all of their questions. 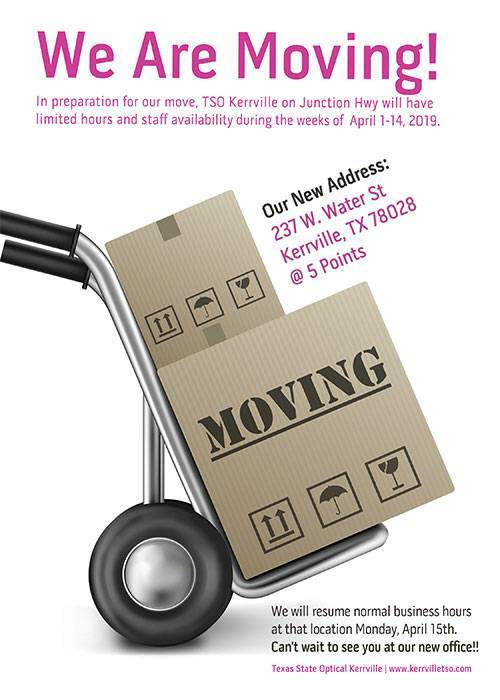 If you're in Kerrville, TX give him and his office staff a chance! - Elizabeth H.
Recognition and admiration to Angie Walls for all that she does at and away from work:) - Jessica C.L. She's Bestest Optician Ever!!!!! - Annie N.
The most courteous Optician. - Lucy H.
Dr. Pena is the best!!!!!! - Stefanie H.
My annual eye exam was conducted in a professional manner, Dr. Pena answered all my questions. Both he and his staff were friendly and attentive. I recommend his office to anyone in the local area looking for quality optical service. It is a pleasure not having to travel to S/A for quality service. - Harry M.
Very friendly staff and Doctors! Great service! - Stormie N.
I have been using TSO in Kerrville for two years now and have had excellent care. I have had the pleasure of having Heather Anderegg, OD both times. She is wonderful great patient care and very easy to understand! I haven't meet her partner but if he is as wonderful as DR. Anderegg then I wouldn't think twice about referring everyone to them. I also found out that their prices for eye exams for uninsured is at a very reasonable rate. Thank you for making my contact renewal a pleasant experience. - Kathy W.
My annual eye exam was conducted in a thoroughly professional manner, Dr. Pena answered all my questions. Both he and his staff were friendly and attentive. I recommend his office to anyone in the local area looking for quality optical service. - Anne M.
You can now purchase peace of mind with your new eyeglasses for only $29 at Texas State Optical Kerrville! Replace of your broken frames for a full year, no questions asked! Please feel free to call with any questions about the program, or feel free to visit us for further details. 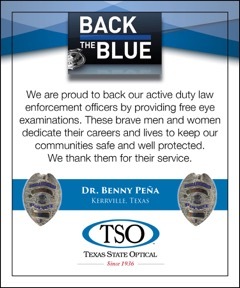 Thanks again for choosing Texas State Optical Kerrville.